Tumis hingga naik bau majerin dan bawang putih ke dalam periuk. Masukkan sos cili, sos tomato, serbuk lada hitam, serbuk paprik, garam, dan gula letak atas api gunakan api perlahan. Apabila sudah masak tutupkan api dan biarkan sejuk dahulu. Setelah sejuk, gaulkan dengan ayam dalam 10 minit. Tutup dengan plastik simpan dlm peti sejuk dan biarkan selama 1 malam. Kemudian bakar dlm oven dgn suhu 180'C selama 1 jam. Selepas 30 minit pertama terbalikkan. 2. Masukkan susu pekat dan esen vanilla. 3. Masukkan minyak dan tepung yang telah diayak bersama serbuk penaik. 4. Bahagikan adunan kepada tiga bahagian. Kemudian warnakan dengan pewarna pilihan. 5. Tuang adunan ke dalam pemanggang ajaib secara berselang-seli. 6. Masak menggunakan api dapur yang paling kecil. Anggaran masa memasak adalah 40 minit. 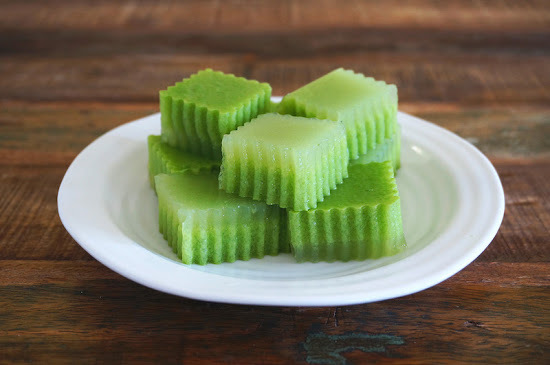 In a medium saucepan, combine water, pandan juice, agar-agar powder, sugar, coconut milk, and a pinch of sea salt. Stir until all the agar-agar powder dissolves. Then bring the mixture to a boil, reduce the heat and simmer until the sugar completely dissolves, about 6 to 8 minutes. Remove the pan from the heat and pour the mixture into a shallow dish, or jelly mould. 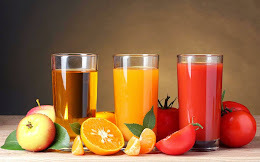 Set aside to cool completely before chilling in the refrigerator. Cut into your desired sizes and serve chilled. Add in sugar cane sugar. Test to check sweetness. I have stop posting and writing my food experiences for quite some time. But, I am still posting those recipes that I am fond of eating. With such nice and tempting photos captured during my visit to10 Years Restaurant was a 'cheat' to Penang Food, the char koay teow which is not hawker's price. The price is double and triple as you can see from the menu, Customer services were satisfactory with foreign workers on their rounds but not all could speak English. The crowd was not loose although it was a weekend dinner time. Pricing is high and I think if the price is to be brought down, the crowds will surely swell. Food taste is good. Char Koay Teow quite close to Penang Char Koay Teow. I am craving for these village doughnut named Kuih Keria in Malaysia. At the same time, I have a kilo more sweet potatoes from Cameron Highlands. I was browsing the internet and found this recipe with video and with a pretty host. Thanks Nyonya.